The dream of building a home in an out-of-the-way location is irresistible for clients who long for privacy and quiet, uninterrupted vistas, and star-studded night skies. They crave more room for gardens and landscaping, elaborate outdoor living areas, and accessory buildings for entertaining or pursuing individual passions. For builders, though, remote sites come with a laundry list of issues ranging from cutting in access roads and storing materials to scheduling trades. It’s very likely that a septic system will have to be installed, since running sewer lines is cost-prohibitive in sparsely populated areas. Conventional systems take up a lot of land and require aerated soil to adequately purify a home’s wastewater. Alternative systems are available, but they’re more expensive. Factor in labor and materials, and it’s easy to see why septic is one of the biggest line items in the budget. 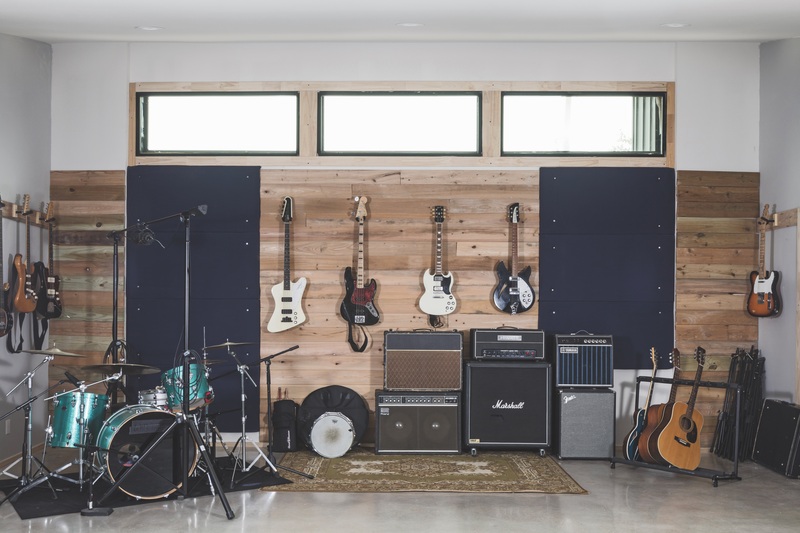 As with all custom projects, the best results come about when there are frank discussions about costs early on, especially if an alternative type of system is being considered. 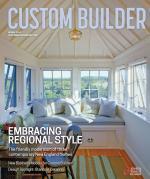 Builders Andrew Supinger and Zach Savage offer their insights in the sidebar below. 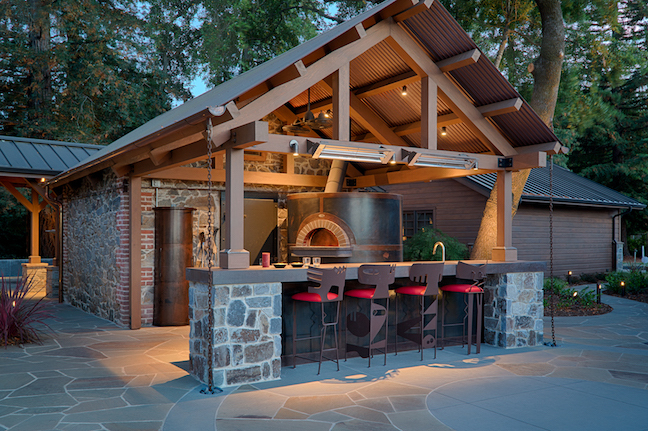 It started out as a small remodel and exploded into a full-scale renovation. Jim Murphy & Associates (JMA), of Santa Rosa, Calif., expanded this Sonoma County home from 4,800 to 5,400 square feet and added 2,300 square feet of terraces, plus an 865-square-foot attic. It was already a big property: 20 acres in all, with 10 acres of vineyards. Just to the east of the main house is a grove of tall redwood trees, and redwoods speckle the rest of the property. The clients planted a variety of trees on a steep slope to the west, including an olive tree grove. To the south is an open field with the homeowners’ garden, and beyond that, the possibility of a future vineyard. The pool was moved to the top of a slope near the house. JMA had to first build retaining walls, then the foundation, which turned out to be “tremendously stout,” Supinger says. The builder poured 18 piers to hold up the infinity-edge pool, enhanced by a truckload of rebar. Inside, the home reflects a more contemporary style. The interior walls are finished in Marmorino Venetian plaster and curved to “create a nice transition from the old to the new,” McCalligan says. The formerly dark, damp basement was transformed into a spacious wine cellar. The clients wanted to retain the cabin feel of some of the existing rooms, particularly the living room with its woodburning fireplace and Claro walnut doors and trim. (Claro is a wood salvaged from California walnut trees.) 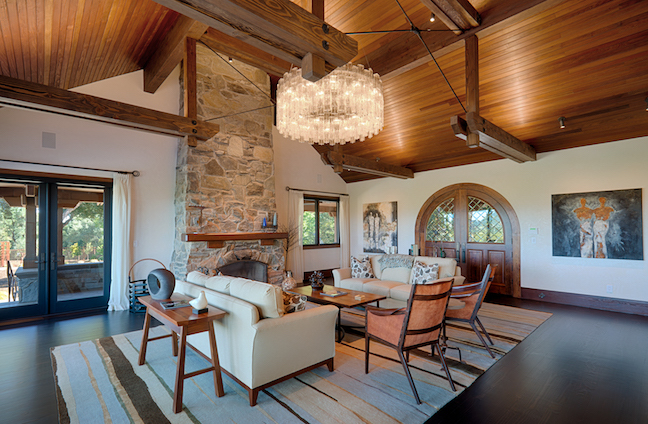 JMA removed and replaced much of the redwood ceiling paneling in order to add hammer trusses for a distinctive look. Large contemporary sculptures complement the new exterior landscaping around the home. 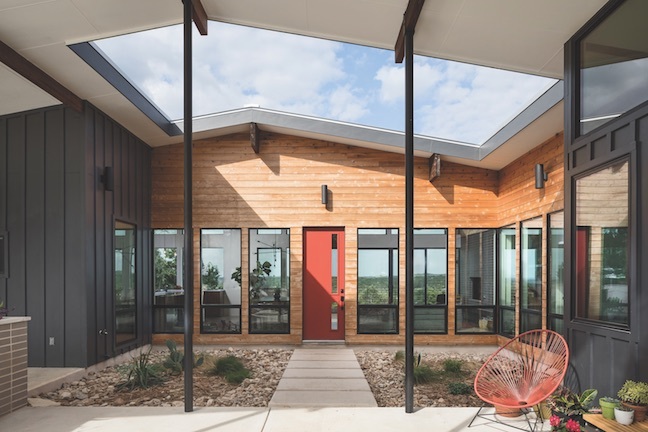 Because the Hill Country landscape can be wild and unforgiving, Mehl designed a house that turns inward on a sunny courtyard, while the rest of the site was left undisturbed. “The house is essentially a large square roof with a hole in the middle for the courtyard,” he says. It’s not an exciting topic, but it must be addressed if you’re building in a remote area: How to dispose of sewage safely and effectively. Most septic systems are conventional models where gravity carries wastewater from the house into the septic tank and then to a drain or leach field. The hitch is that gravity-fed systems don’t work for every lot. Alternative treatment units (ATUs) may be the only option under certain conditions, such as rocky soil, a sloping lot, a high water table, or where local environmental regulations prohibit standard septic. * Aerobic units that mix air into the wastewater, allowing oxygen-loving bacteria to flourish and quickly break down solids. * Sand filters that work in conjunction with a tank or aerobic treatment unit. * Mound systems that hide a drain field inside a pile of sand and gravel. * Drip septic systems, which are liquid waste units that drip water into the waste mixture as it’s added to the septic tank. ATUs cost more to install, though prices vary widely depending on the site, local environmental codes, and the technology required. For one project, builder Jim Murphy & Associates (JMA), of Santa Rosa, Calif., installed a mound system that cost approximately $50,000. JMA has also used a filter system that costs between $70,000 and $100,000 and recirculates sewage over a porous textile filter. 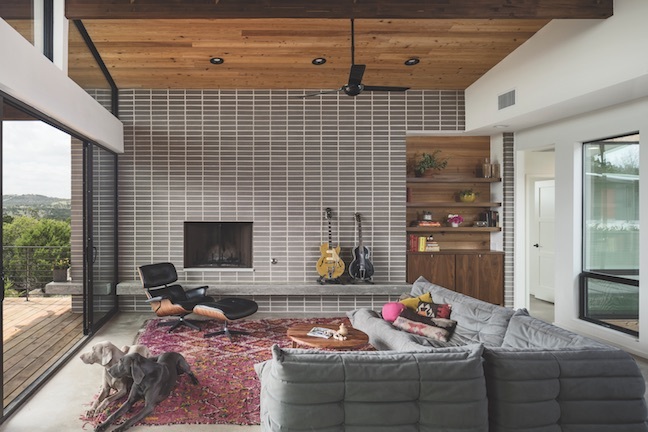 For the featured home near Austin, Texas, builder Zach Savage, of Zach Savage Custom Homes, installed a gravity-fed system with three cement tanks that are tiered to spill over into one another. Savage estimates the cost of this system at $16,000. “It required digging some pretty large holes, and there was some rock excavation required,” he says. Both builders make certain to bring up septic during the first budget proposal meeting, including the caveat that “there’s always a chance of running into the unexpected,” Savage says. Comments on: "The Challenges Of Building Custom On Remote Sites"